The Trim-Slice OS installer image enables a simple automated OS installation and update procedure. 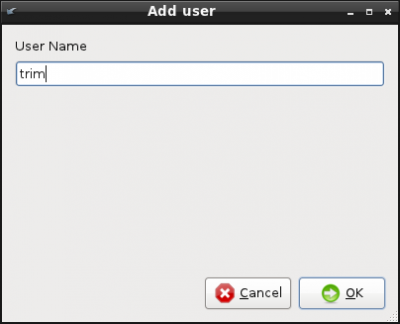 The Ubuntu LXDE based installer is intended to be used as a standard tool for Trim-Slice OS installation. The Trim-Slice default installation source device is the front SD socket. Any commercially available SD card of 4GB (or larger) may be used for the installation. Micro-SD card of at least 4GB capacity inserted into the Trim-Slice micro-SD socket. 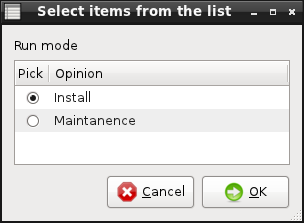 The installer utility is supported only with Trim-Slice U-Boot v1.01 or above. It is recommended to perform Firmware Update to ensure that your Trim-Slice is running the latest U-Boot. Trim-Slice with an up-to-date U-Boot boot-loader. Display connected to the HDMI primary display output. SD card with at least 4GB capacity. Download the latest Trim-Slice OS installer image to your host PC. Create a bootable SD card using dd image of installer from the package. Please refer to Installation From Img Files for instructions. Plug the bootable SD card into the front SD socket and power the Trim-Slice. 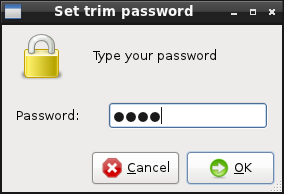 The Trim-Slice will automatically boot into the installer Ubuntu desktop. Double click on the Trimslice Installer icon to begin installation and follow the Installation Wizard instructions. Use Maintenance mode for resetting the root password. 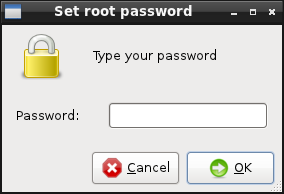 This dialog offers to set Ubuntu root password. If you cancel this dialog the default root password "111111" will be set. This screen offers to add a default user. After the installation this user will have no password login to the GUI. This dialog offers to set the default user password. This progress dialog will be shown during the OS Image "partclone" extraction to the target media. This dialog will not appear in Maintenance mode. 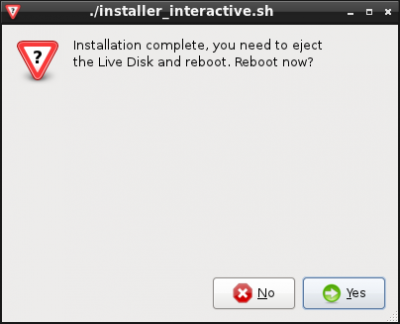 This dialog will be shown at the end of the installation. After the installation is complete, shut down the Trim-Slice and remove the installation SD card. 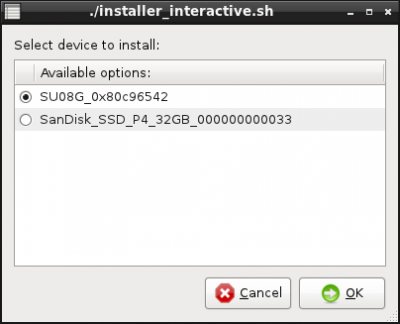 If the installation SD card is not removed, the Trim-Slice will automatically boot into the installer.